I love good cupcakes! I mean, really, who doesn’t!?! 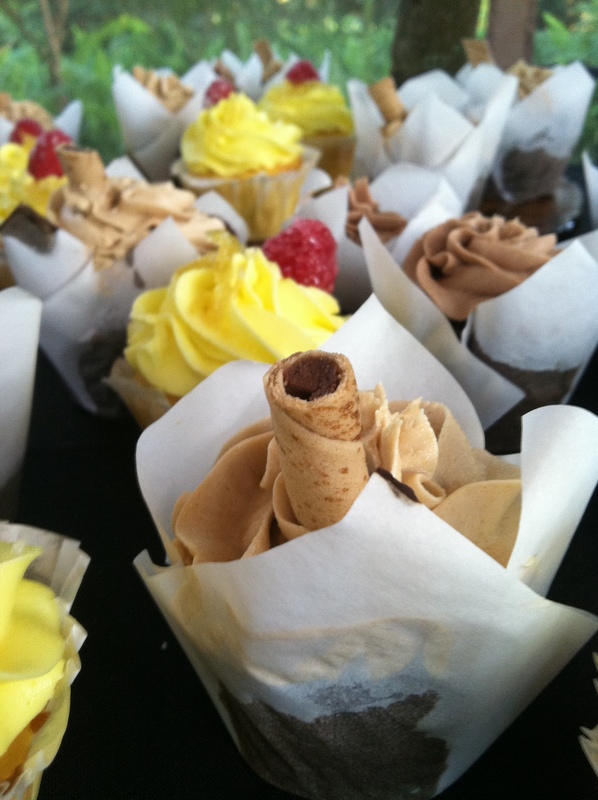 However most of the time, I never even try the dessert because I don’t like so-so cupcakes. Last night, though, I think I may have some of the most amazing cupcakes yet. 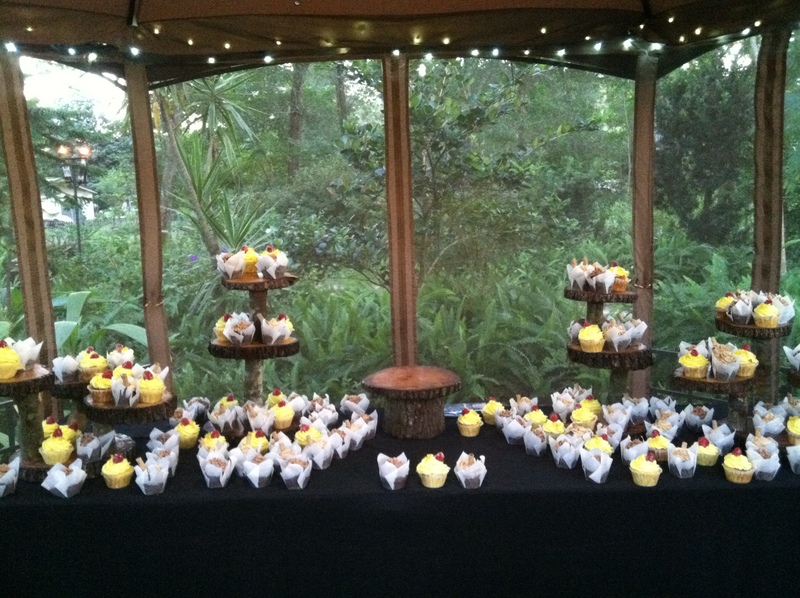 My favorite flavor was a lemon cupcake with raspberry mousse, with candied raspberry and lemon peal on top. YUM!! The other kind I tasted was a chocolate cupcake with a peanut butter mousse. There were a couple of other yummy flavors, but alas, a girl should only eat so many cupcakes in one day. Thanks Harmony n Love Catering for another delicious creation! Tags: Cupcakes, Rustic Cupcake Stands | Permalink.